Premier Li made the first inspection tour of 2016 on Jan 4 and 5 in north China’s Shanxi province, which is known for large coal reserves and output. Local governments should transform development engines and speed up structural reform, Premier Li said in Taiyuan. Premier Li also experienced the solar car during his inspection tour in the Qingkong innovation maker space in Taiyuan, Shanxi province on Jan 5. Premier Li visited the Guandi Mine of the Shanxi Coking Coal Group in Taiyuan on Jan 5, hailing the miners as “the backbone of Shanxi province and the entire country”. Shanxi should treasure its two valuable “mines” of abundant coal resources and the Jin merchants’ spirit, said Premier Li Keqiang in Shanxi on Jan 4. After inspecting a shantytown area in Taiyuan, North China’s Shanxi province, Premier Li said that the government still shoulders heavy responsibilities. 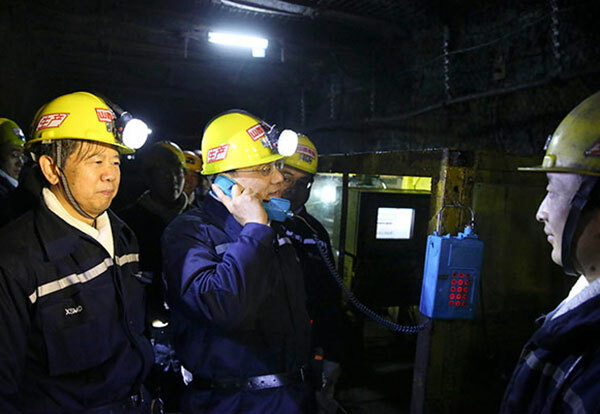 Premier Li spent two hours inside a coal mine in Taiyuan, where he inspected production safety and talked with workers. 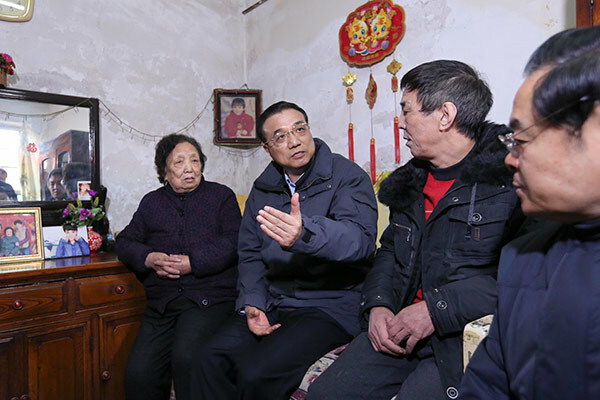 While visiting a shantytown area in Taiyuan, capital of North China’s Shanxi province, Premier Li told residents of the neighborhood that he knew well their hardship. China must put unyielding effort into eliminating excessive industrial capacity to make way for new growth engines. Local citizens in Shanxi province should not only dig the coal mines well, but also value the Jin merchants’ spirit.